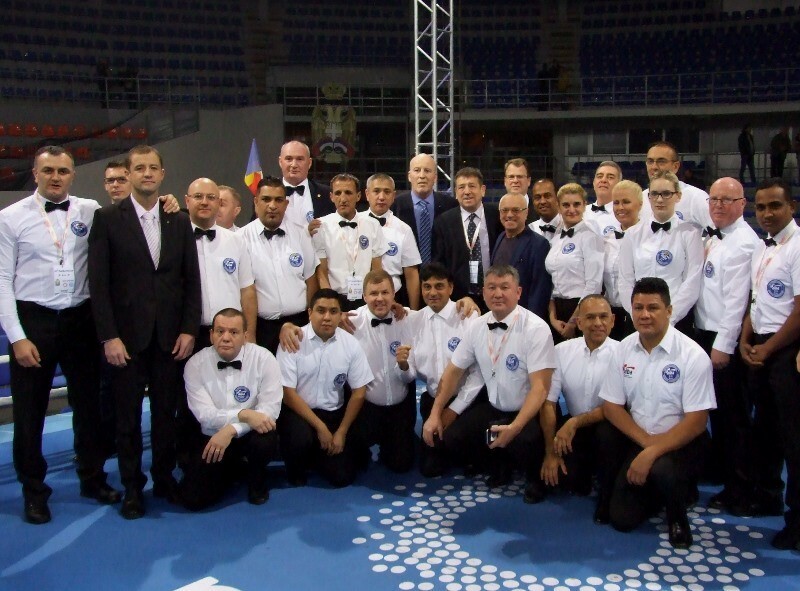 A new AIBA 3-star Referee & Judge Course was held during the 61st edition of the Golden Gloves Tournament in Nis, Serbia in the recent days where five young Asian officials worked to reach their next goals during their career. Mr. Hamza Ismael Kahlel of Iraq, Mr. Yerzhan Ospanbayev of Kazakhstan, Mr. Kairat Zhumankulov of Kazakhstan, Mr. Saeed Nazlawi of the Kingdom of Saudi Arabia and Mr. Mohamed Safrask of Sri Lanka were the Asian participants in the AIBA 3-star Referee & Judge Course in Nis. Mr. Kairat Zhumankulov, who worked in the recent Kazakhstan National Boxing Championships, had strong international experiences in the recent one year and now he is aiming for his AIBA 3-stars. A great effort from a developing Asian country that Mr. Saeed Nazlawi could be Saudi Arabia’s first ever AIBA 3-stars referee and judge. Following the AIBA 1-star Referee & Judge Course which was holding in Vietnam’s capital city in Hanoi during their National Women’s and Men’s Elite Boxing Championships this 3-star Course was the next project in the education of our referees. Two experienced AIBA Instructors as Andrew Caulfield of Scotland and Mr. John Waith of Wales worked with the participants in the AIBA 3-star Referee & Judge Course in Nis. The Golden Gloves Tournament itself was the practical examination of the attending currently AIBA 2-stars referees & judges. In the event Russia, Morocco and Serbia claimed the gold medals of the eight men’s elite weight classes in Nis.